Monida Shared Imaging, LLC is a joint venture Mobile MRI service traveling across Western Montana. This service is an enormous benefit to our rural facilities and their patients who would otherwise have to travel to Missoula or other surrounding communities to have an MRI. This service also reduces the cost of high technology equipment that each of these rural facilities would have to purchase themselves. If your facility is interested in providing MRI services locally to your patients, please contact us to see how we might assist you in bringing these services to your area. 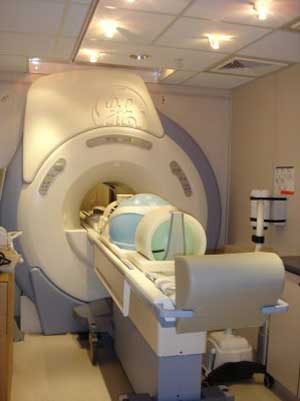 In February of 2007, three of Monida’s rural hospitals in western Montana joined forces with Monida to introduce a mobile, state-of-the-art magnetic resonance imaging (MRI) scanner that would significantly improve diagnostic imaging capabilities in the region. By sharing the cost of a mobile MRI, the hospitals provide their communities with the best technology, without each having to cover the full cost of the equipment. At well over a million dollars for a first-class MRI scanner, joining forces gave the hospitals an opportunity to efficiently utilize the limited resources available in rural Montana without compromising patient care. Through this effort, residents of the communities served by the MRI scanner have gained local access to the same technology available in large, metropolitan communities. The three hospitals – St. Luke Community Healthcare in Ronan, Clark Fork Valley Hospital in Plains and Mineral Community Hospital in Superior – are affiliated through the Monida Healthcare Network and have contracted with BP Consulting, a company that operates several mobile scanners in the western United Sates, to provide the daily operational support. Breck Howard, MD, a radiologist for St Luke Community Hospital, is also a partner in the joint venture, along with BP Consulting & Monida. One more way that we are able to Pool Resources to Serve Our Communities.